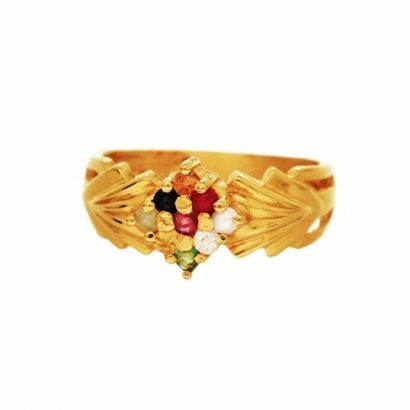 A 22 karat gold ring inlaid with Navaratna stones in the protective border of a diamond carved in gold. 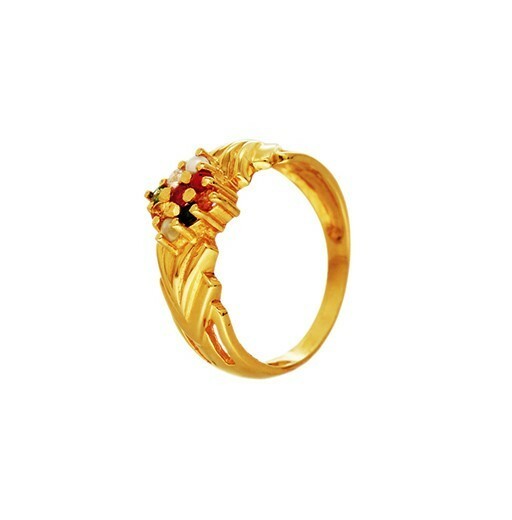 The vibrant stones are clasped in artfully engraved golden sculptured forms. A traditional design brought to life, revamped and crafted in contemporary style. 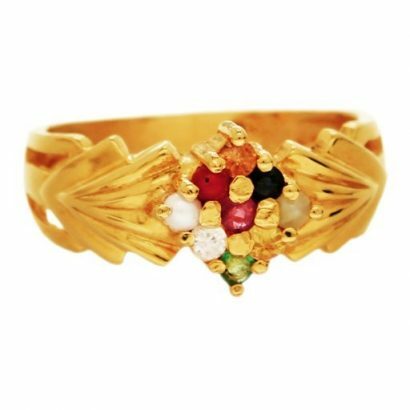 A stunning piece with a touch of delicateness.